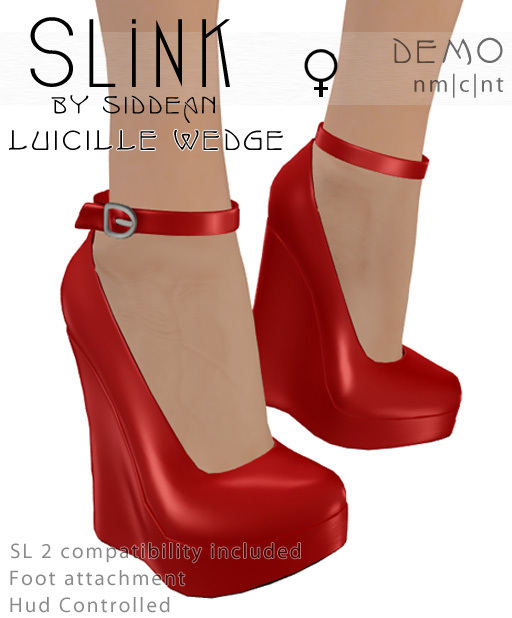 If you have bought this style prior to March 27th 2011, please visit the Slink Mainstore and pick up your update. The update delivery vendors are located on the Tiger Display and the boxes are labelled with the colours of the range. Simply click the colour/s you own and if you are on the list, it should be sent to you! If you are advised by the box that you are not on the update list, and you believe this to be an error, please IM me (Siddean Munro) to resolve it. Fifty Linden Friday at Slink! 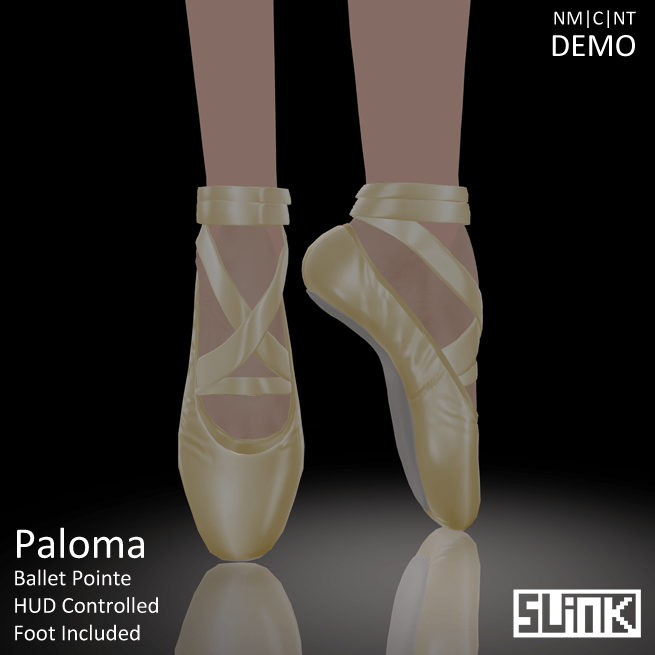 I am pleased to participate again in Fifty Linden Friday this week! Unfortunately I have been innundated and unable to blog the item until now, but it will be available at Slink until 2am Saturday SL time. This time we have a gorgeous set of Marina boots, textured in the unreleased Merlot red! Slink “Chase the diamond” VIP sale final schedule of events! I have had so much fun this week I can’t even begin to describe it! My group has been awesome throughout the week, voting on polls, chatting, helping new members find their way and I am so pleased with how my little event has been received! I have 2 more special events planned for the next 2 days at Slink 🙂. at 6 pm on Friday night SL time, I will be closing the store to everyone but group members, and we are having a dance party on the roof!!! I have organised the lovely Syngen Sohmers to provide us with some tunes, and we’re gonna put on our dance shoes and have a little fun! If you want in on this event, you must join the Slink inworld group! Better late than never I always say..
A little later than planned, but she’s here nonetheless! 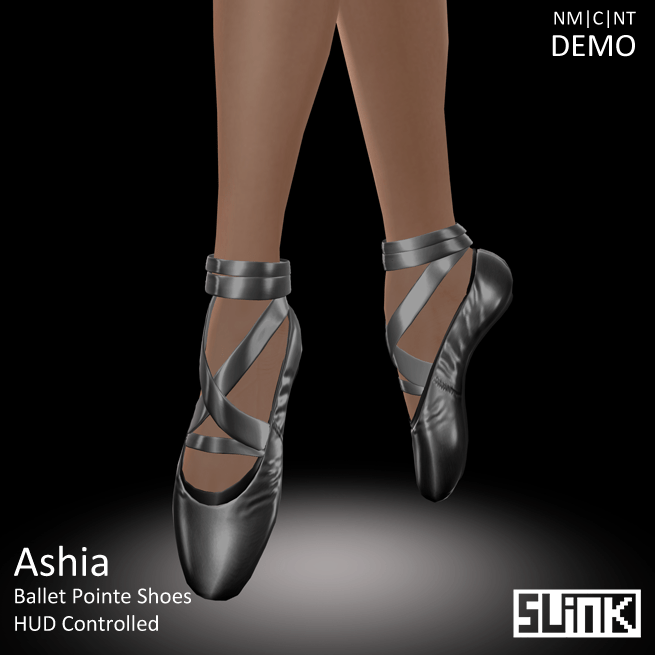 Aveela is the latest item to go on sale at Slink! Come get her now, she’s 80% off! That makes her an incredible 140L per colour after the refund!! To get in on the fun, join the SLink inworld group by clicking one of the joiners around the store, wear your group tag and pay the full price. The discount will be refunded to you. Applies to selected items indicated with a sign and/or big shiny gem on the display! All the previous items that were on sale are still marked down for the next 24 hours! I will be posting a schedule of events shortly 🙂 Enjoy!! Today’s contestants are 2 previous contenders, Aveela and Luicille. there had to be a drumroll because I’m positive it’s a huge surprise – the Jolie Pied ladies barefeet are now discounted 80%, thanks to yesterday’s outstanding poll results!! Congrats! Now available in the Slink Mainstore. Don’t forget your group tags!! There was no question in today’s poll as to which style would win, Tiger took the lead right from the start, and won by what I would definitely call a landslide! Thanks to everyone who voted, you get what you wish for! Tiger is now 80% off at Slink. The Tiger heels and the Ain Egyptian sandals!